I decided to go with a contoured neck plate on this guy. 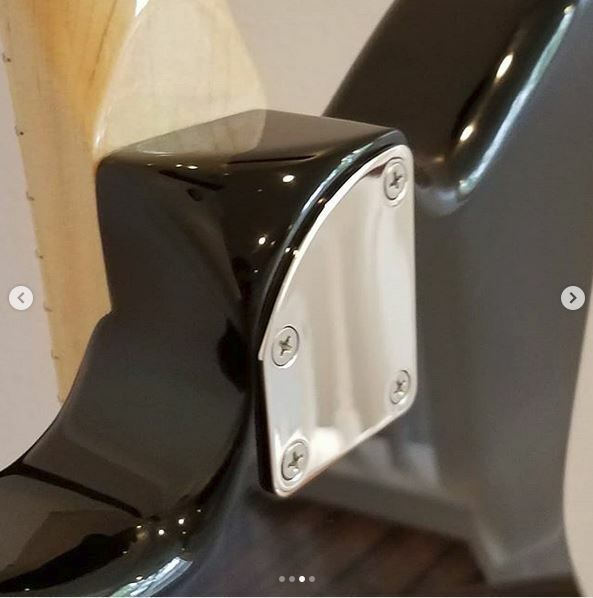 I figured with the 2.25" thick body, anything to improve upper fret access would be appreciated. After a 1/2" radius round over, I went back and did a bit of contouring. I ended up doing even more shaping after this picture was taken. 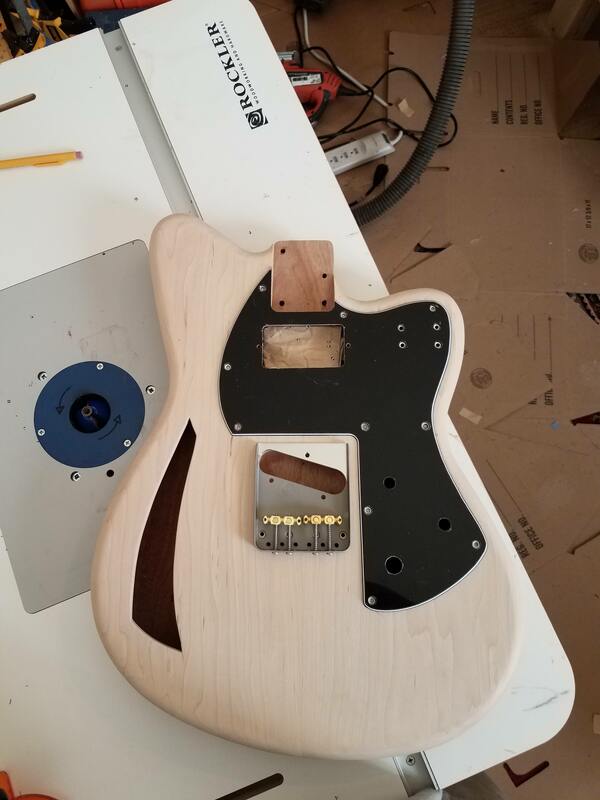 Making the pickguard was a bit more eventful than I would have liked. Cutting the rectangular holes for the slider switches just ended up being a job for a hobby knife and a file. 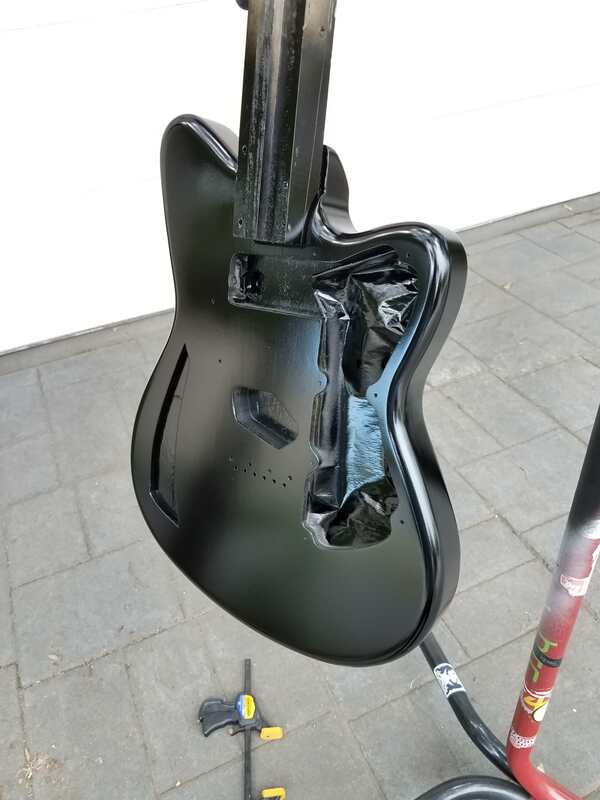 I managed to damage the pickguard while drilling the hole for the toggle switch. It was literally the final operation on the guard - all other holes ad bevels had been drilled. Luckily I had enough material to make a second one. So it goes. Looks great. I love that F-hole. Looking good, a Mustang trem would look ace too. 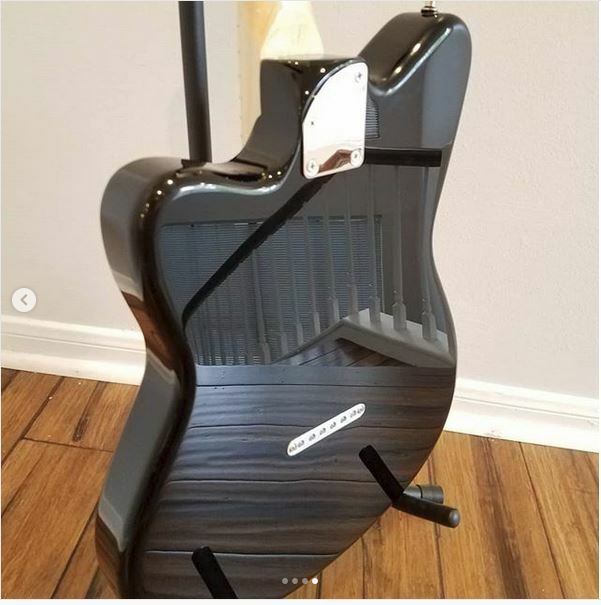 Finally a Toronado i dont hate. Man, that is looking awesome. Keep up the great work. I'm loving this. Love, love, loving it. Holy hell, that's hot. Absolutely love the aesthetic you've got going here! One is stainless steel, the other is aluminum. I'll use the aluminum one for this project and save the stainless steel one for later. Not a bad way for a piece of scrap metal to live out it's final years. 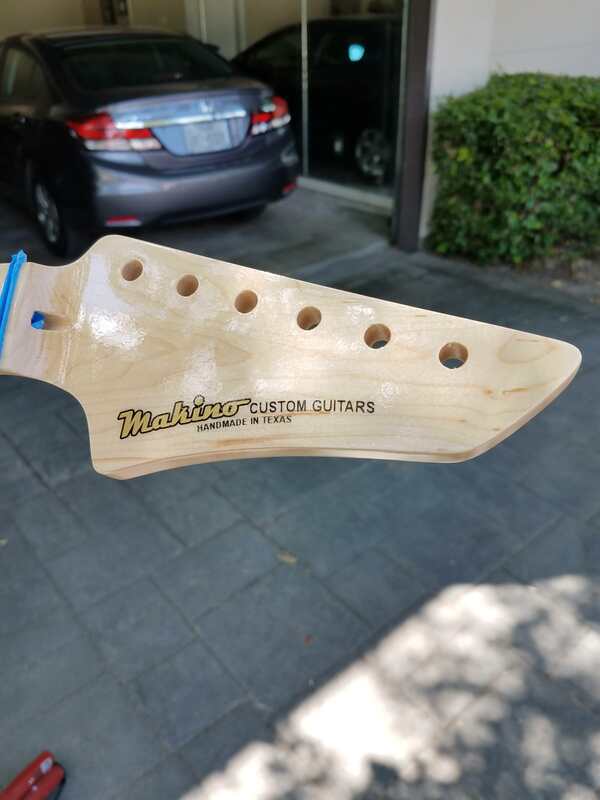 This will also hide the fact that I always have a hard time getting six evenly spaced string-through holes! 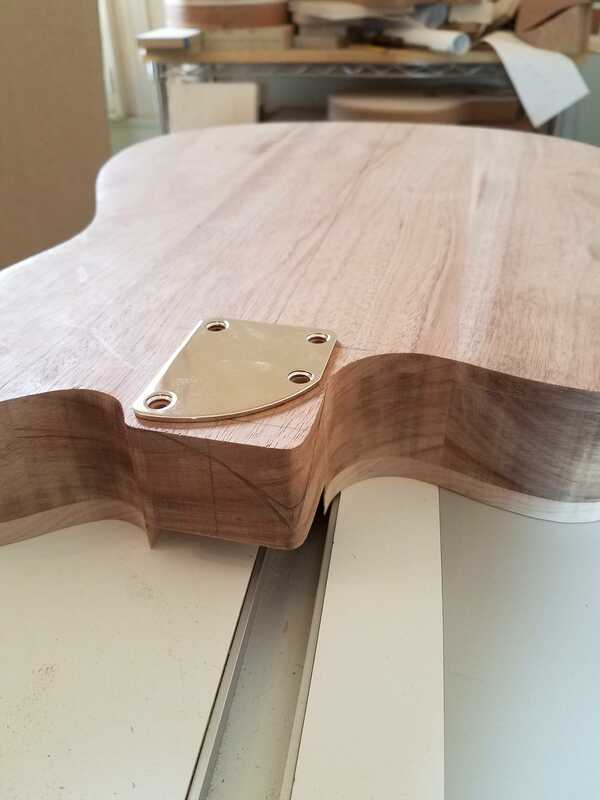 I used the shape of the sound hole to come up with the headstock shape. Hopefully the similarities in design are evident. 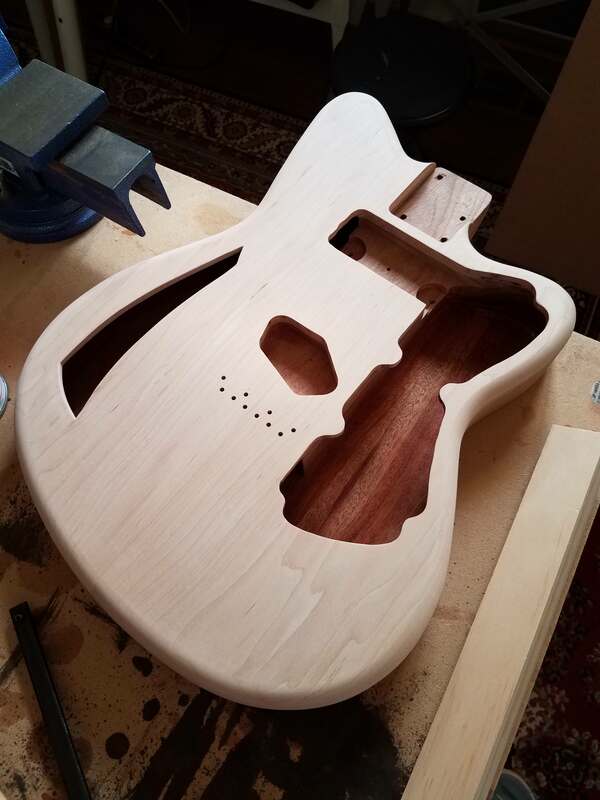 It'll just be layering on coats of clear and then letting it sit for a while before level sanding and polishing. That really looks amazing. I can't wait to see the finished project. That is looking so cool! These are great! Although I can get my ferules straight, I like this idea much better. 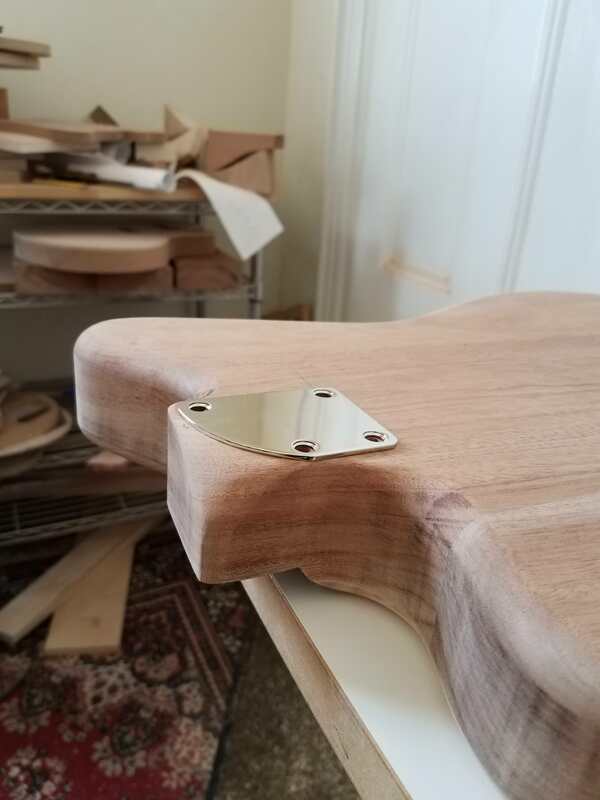 This is going to be a beautiful guitar. I was a bit too busy to document the final steps well. The neck screws look a bit funny because they're longer than standard (this is a 2.25" thick body) and stainless. My buddy sweats battery acid. I made a point of using stainless hardware wherever possible... even the neck screws. 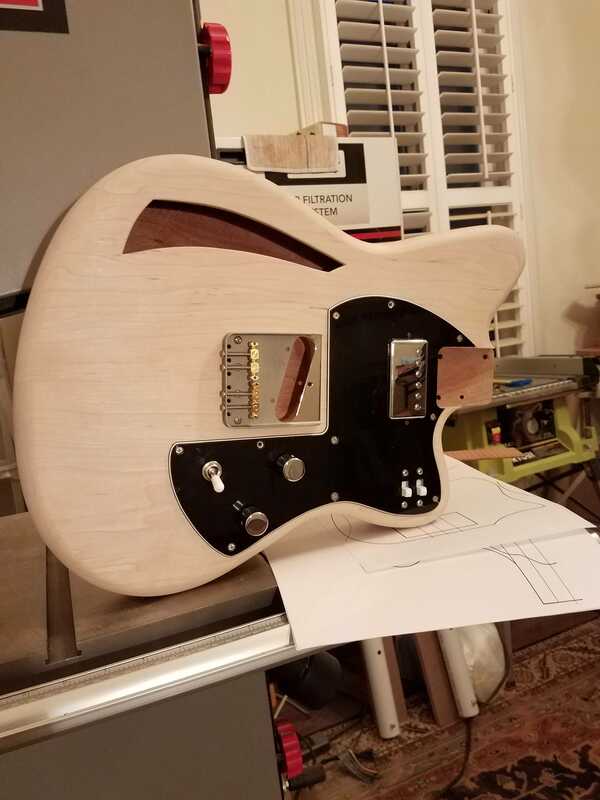 I'm really pleased with how this guitar turned out. The high-pass and low-pass switches offer some very cool and very usable tones.